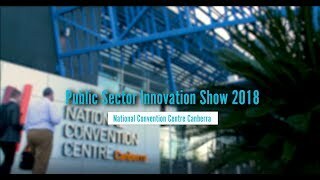 Public Sector Networks Events connect Federal, State, and Local government departments, healthcare and education to discuss national and global trends taking place in the public sector. Developing your skills is vital to remain competitive in an ever changing working environment. Check out our current training available or contact us for tailor made in-house training requirements. With so much noise in the market, it can be hard to find the right vendor to match your organisational needs. Search our online directory to find out more about vendors doing great things in your sector. PSN-TV is an online streaming service from Public Sector Network and is designed to give you top quality content sourced from our Summits and roadshows to keep you up-to-date and informed. Join our growing community spanning Federal, State, and Local government, healthcare and education, to share information, access the latest in government innovation and engage with like-minded individuals in a closed-door network. Thoroughly enjoyed listening to such an amazing group of women. I left feeling very empowered after receiving some great advice. Totally recommend it and will endeavour to attend future Roadshow events. The speakers were very inspiring, listening to their personal struggles and success assured me as a woman i am not alone. I found the conference uplifting and inspiring. It was wondering to hear stories from so many different women and understand that we all go through similar experiences. So many opportunities to learn and grow through the contacts made. Most of all the opportunity for reflection for myself has been the most impactful. Discussions were honest and open about personal experiences and challenges in careers from the women presenting. Great speakers. Senior people. Great networking opportunities. Wow...what a fabulous event. It was so well organised seamless, and really relaxed. Presenters have done an amazing job with their inspiring and very informative presentations highlighting issues and challenges with digital future, but also emphasising great opportunities it brings to patient care. Great work everyone. Thank you. The speakers were really best in class and so happy to share their ideas and knowledge - often at conferences you tend to get 'who ever is available' however these speakers were really interesting and the information was very relevant and first class. Well done! This really opened my eyes to the broader Whole of Government possibilities for data collection, collaboration and use. Presenters were able to build their information into a structured theme while at the same time providing a excellent overview of their own topis and SME area. It provided valuable insight into the possible roadmap of future data & analytics.